On stage Monday at its WWDC developer event, Apple (s aapl) introduced iOS 6, the next platform upgrade for its iPhone, iPad and iPod touch devices. The company claims it has now sold more than 365 million iOS devices with nearly 80 percent of them running iOS 5 and nearly 1 billion iMessages sent each day from iOS 5. Siri gains more functionality in iOS 6, bringing additional conversation-like queries. You can ask Siri more questions about sports, such as the score of a particular recent game, the date and time of a future game or statistics of an athlete, for example. OpenTable users can make dining reservations through Siri and thanks to a partnership through Rotten Tomatoes, Siri can provide movie showtimes, previews or the chance to buy tickets for a show. And users can now launch apps by asking Siri, which is also supported on the iPad with iOS 6. Perhaps most interesting is a Siri feature called Eyes Free. Apple is working with car makers to include a button that activates Siri so drivers don’t have to take their hands off the wheel or their eyes off the road. Several car makers have committed to bring Eyes Free to vehicles within the next 12 months. After integrating Twitter in iOS 5, Facebook (s fb) is the new partner for iOS 6, with deep integration into Apple’s mobile platform. Photos can be shared directly to Facebook and a new widget in the iOS Notification Center has a quick post button for both Facebook and Twitter, making it faster to update a status. Facebook is also hooked into the iTunes App Store, showing which Facebook friends have liked an app, movie, album, or song. The deep integration includes birthdays of Facebook friends, which will appear in the Calendar app. New options are added to the Phone app in iOS 6; many of which can help save time during communication. Added to the decline and answer buttons for incoming calls are two new options: Reply with message and Remind me later. Some canned messages are available for the first option, but you can create a custom response as well. The phone can remind you to make a call back based on time or location; similar to how Reminders works. Apple has added a “Do Not Disturb” option as well. Set it and your phone won’t make a sound or light up the screen when a call or message comes in. And similar to how Google Voice(s goog) operates, you can answer calls on multiple devices by unifying phone numbers with either email: Someone can call your iPhone but you can take the call on your Mac, for example. That’s especially handy now that FaceTime can be used on mobile broadband networks in iOS 6. If you’re working over a 3G connection on a Mac laptop and someone calls your phone, you can take that video chat on the Mac. Apple’s mobile browser gains iCloud tabs so you can view the open Safari tabs on Macs from an iOS device. An offline reading list is added as well; save web pages to the list and you can read them when you’re not connected, which is good for saving on data charges and battery life. Photos can be directly uploaded to photo sharing sites in Safari, which helps alleviate some of the missing methods to share photos. And Safari gains full screen mode in landscape; helpful to see more information and less chrome. PhotoStream gets a little more social, but within Apple’s ecosystem. You can set up photo sharing group invites in PhotoStream for friends, family and other groups. That’s a bit redundant from Facebook and other services to share pics, but it’s a welcome feature. In terms of mobile payments, iOS has seen a number of solutions, but the newest native one is Passbook. This platform allows developers to create methods for storing payment cards and tickets for events or travel. Think of the Starbucks mobile payment app with barcodes but on a larger basis so that any company can let iOS users pay for goods or board a vehicle with a barcode scan. By making this available to developers, iOS 6 offers a consistent experience for cards and passes. As rumored, Apple is bringing its own map solution to iOS 6 including a crowd-sourced traffic service with accident notification. 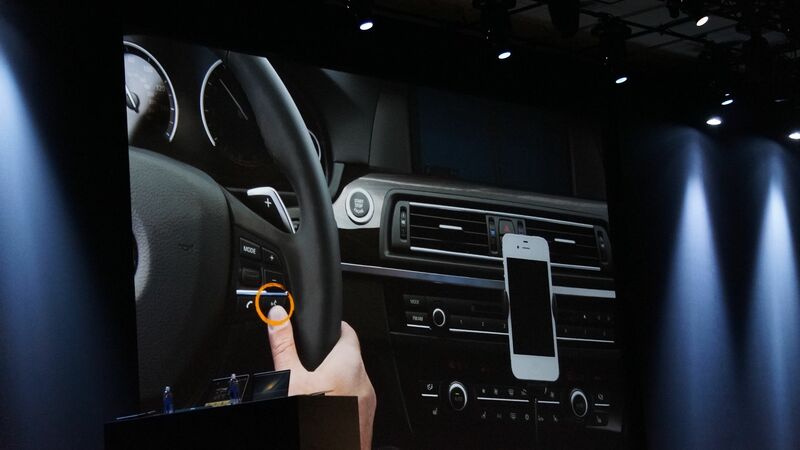 Turn-by-turn navigation is also part of the mapping program, will be free and is integrated into Siri. The maps will also re-route or suggest a new road due to traffic and such. A new Flyover feature shows off beautiful 3-D interactive map imagery, similar to what Google announced last week. Dave Mackey is C U T E What a wonderful smile,. I’d like to make you smile like that. ios 6 is going to be AWESOME!!! I wonder if ever the ability to create contact groups directly on the iPhone will be implemented. 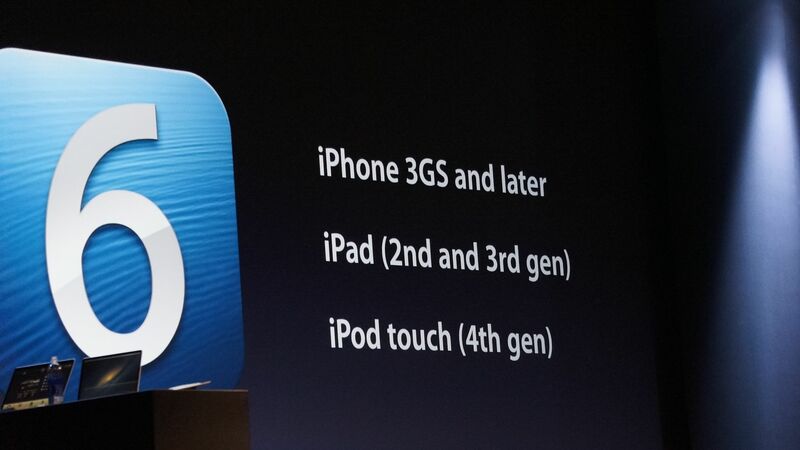 I did not see anything about that mentioned with the new iOS 6. I am really looking forward to iOS6, and I expect this will be flawlessly available in the UK, this may even take the mobile payment industry by storm… we just can’t tell. Right now mPowa (www.mpowa.com) and NFC rules the the UK so better watch out. am an Apple product user since early 80s even before Macintosh. for siri can you ask questions like what time is the brooklyn park symphony orchestra is playing? No such luck. I just tried that very question on the iOS 6 beta and Siri suggests it can do a web search. Kevin, will Google still be the default search engine for Safari in iOS6? And also, which search engine will power the new Maps app for search queries? Taylor as far as I know Google is still the default search in Safari. There were no announcements of a change and the beta version of iOS 6 still uses Google. As far as the maps: Apple is using data from TomTom and a number of other companies. In the Maps app, the copyright info shows about 2 dozen companies! How to lose market share: What a mistake Apple is making by replacing Google Maps with a mapping product without street-level views. A lot of consumers will switch from Apple products to Android products just to get better mapping. And a lot new consumers will opt for Android after they compare Google Maps capabilities side-by-side with Apple’s application. Google Maps is Android’s killer app and has so many near impossible to duplicate features (due to shear size and effort to collect all that location data). I wonder, with Android almost going a full cycle, with a new market for Phablets, One X, S III and soon Nexus 7 … we seem to be waiting till Q4 for the next iPhone … are all of these upgrades enough? I must be still an Android fan deep inside, since I can’t answer with a yes. 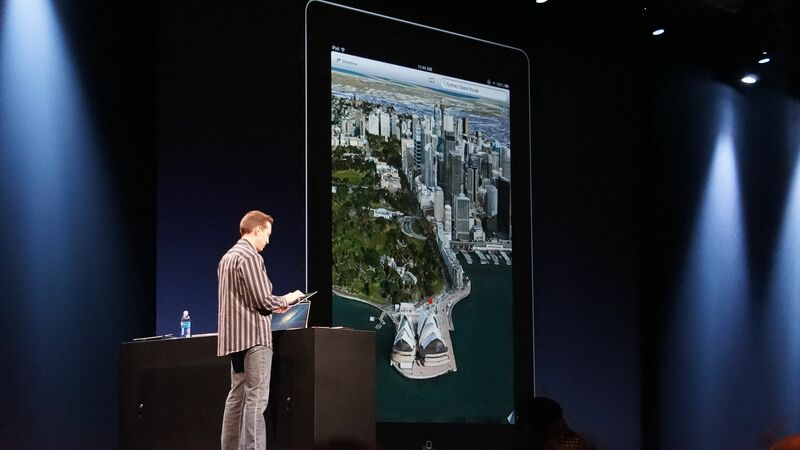 I’m reading that the new Apple Maps will have no equivalent to Street View? That’s a very surprising decision. I’d have thought that on a practical, day-to-day basis, Street View is far more useful than a fancy 3-D flyover. I use it all the time in a variety of different scenarios and I know that lots of my friends and family do too. This would put me right off upgrading, no matter who cool the 3-D flyovers look! If Apple are using TomTom for maps data then we trade street view for out of date maps… Not a step forward IMHO. Also missing the opportunity to have offline maps.